The shape of new technologies is not set in advance. But how do different social circumstances and different groups of actors influence the forms and outcomes of scientific and technical innovation? What are the roles of governance institutions and policies, industry structures and strategies, discursive practices and imaginaries? How can processes of high-tech development be modulated to guide the progress of new technologies in responsive and responsible ways − and how might these approaches be adapted to different conditions across the world? The multidisciplinary contributions of this volume from experts in the social sciences and humanities, as well as practitioners in industry and consultancy, try to answer these questions by addressing nanotechnology and other emerging technoscientific fields, such as geoengineering and synthetic biology. 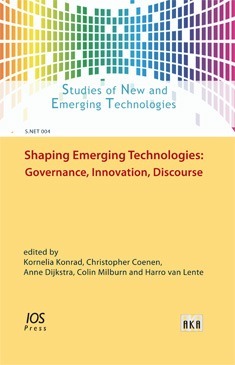 Shaping Emerging Technologies constitutes the fourth volume showcasing the research activities of the vibrant, multidisciplinary community of S.NET, the Society for the Study of Nanoscience and Emerging Technologies.